Trainer Darren Hyde has had in his mind for more than a couple of years that his unassuming four-year-old Westlink is destined to have his moment in the limelight. Auditions for his star turn have taken place at the past two Dubbo Country Championships meetings – he was runner-up on debut in 2017 then broke his maiden at the corresponding meeting last year – and everything Hyde has seen in the past couple of months says he’s ready. So it’s no surprise Hyde is far from conceding Sunday’s $150,000 Country Championships Qualifier (1400m) to top weight and favourite A Martin Placepick. “You try not to get too big a rap on them because they can come back and kick you in the backside,’’ Hyde said. “Every time we ask him to do it he’ll do it and I think he will be a better horse again next prep. Go back a couple of years and the gelding, bred by his owner Daryl Juratowitch, was sent to Luke Thomas to be broken in and created a big impression. “Luke called me one day and said ‘I think this horse is something special’,’’ Hyde said. Westlink, $4 second favourite with TAB, has won two of his 12 starts and Hyde secured Kosciuszko winning jockey Adam Hyeronimus to ride on Sunday. 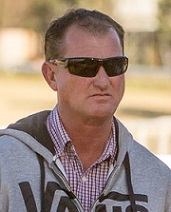 The Dubbo trainer said his last start third at Wellington was a win that got away but believes having a 1400m run under his belt has him ready to run the best race of his preparation. “He’s probably a bit unlucky not to be a Class 3 horse. I put an apprentice on him to take a bit of weight off him and she just got too far back on him,’’ he said. “Going down the back he was 15 lengths off them and he was beaten by four. It’s just one of those things that can happen, young riders can make mistakes. Hyde isn’t sure whether barrier one is a plus or a minus for Westlink but said he’ll have a chat with Hyeronimus and would like to see the horse settle in the first five or so. It’s been almost a month since Westlink’s final Championships lead-up run and Hyde said that’s been deliberate to shelter the horse from the hot summer in the state’s west. He trains out of some famous Dubbo stables previously occupied by legendary local trainer Tom Mulholland who left him a measuring stick that tells him Westlink can win on Sunday. That horse is Cardiff Prince, Hyde broke him in for Mulholland, a now retired gelding who won a Bathurst Cup and Murrumbidgee Cup and took Hyde to Sydney a couple of times. Naturally, he's hoping Westlink can take him back there. “We’ve been going through this heatwave and our main concern after Wellington was the hot weather so we didn’t take him back to the races,’’ he said. “We’ve kept him ticking over to keep him off the hard tracks and out of the heat. First and second from the Dubbo Qualifier earn a place in the $500,000 Newhaven Park Country Championships Final (1400m) at Royal Randwick on April 6.